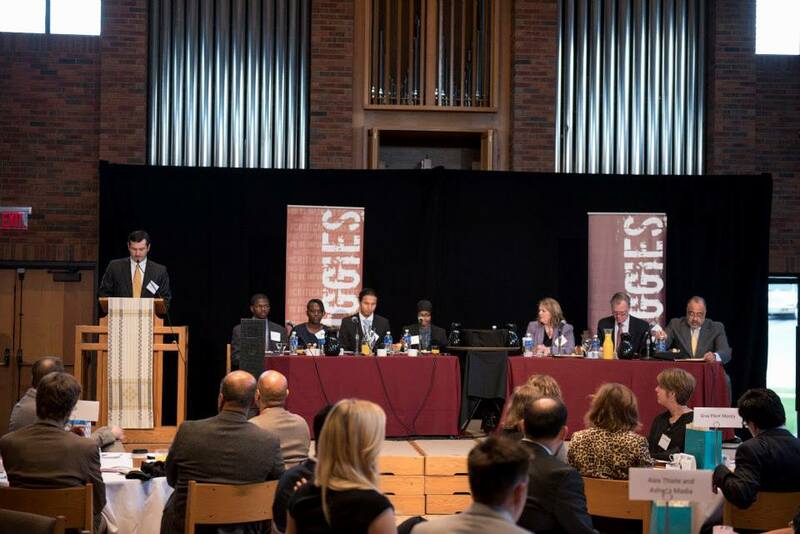 The Minnesota Urban Debate League (MNUDL), a program of Augsburg University, will enter the 2018-19 school year with a full head of steam, thanks to funding and partnership support from three Twin Cities grantmakers. Executive Director, Amy Cram Helwich, is excited to announce gifts from the Women’s Foundation of Minnesota, the Saint Paul Foundation, and the Otto Bremer Foundation. With a $25,000 grant from the Women’s Foundation of Minnesota, MNUDL will launch a new program centered on building financial literacy skills. Studies show that young women are most at risk for financial illiteracy. Cram Helwich and MNUDL are grateful that the Women’s Foundation of Minnesota is prioritizing this issue. Using the format of academic debate, young women will learn financial literacy concepts and then debate important financial literacy issues. Making sense of finance can be daunting, but the debate process breaks down abstract concepts and makes them relevant. Funding will also provide the opportunity for a women and gender-nonconforming student cohort at The Advocacy Unit, an advocacy skill training summer camp which takes place on the campus of Augsburg. In May, the St. Paul Foundation approved a grant of $40,000 grant to help MNUDL reach even more students in St. Paul Public Schools. 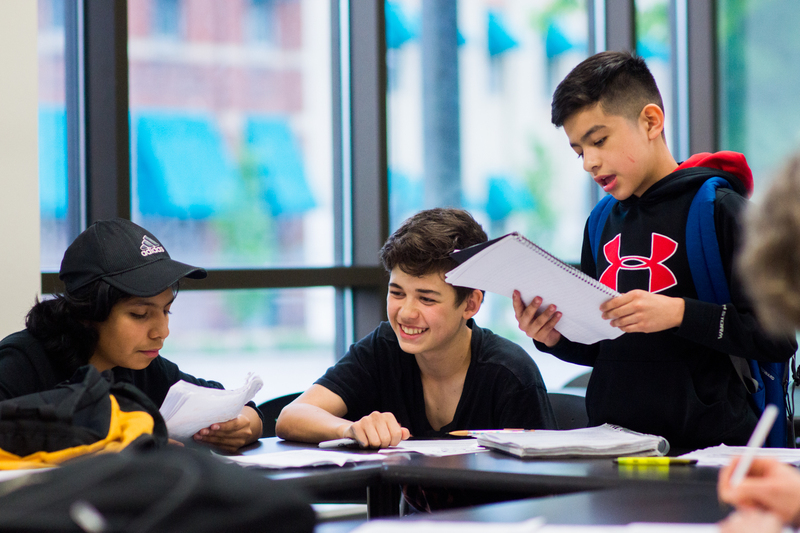 MNUDL will add four middle school programs over the next two years, including Ramsey Middle School, Parkway Montessori & Community Middle School, Farnsworth Aerospace, and Hazel Park Preparatory Academy. Funds will also make it possible to expand culturally-specific debate programs for Spanish-speaking and Somali students. Thanks in large part to the philanthropic grants and donations, MNUDL was able to deliver high-quality debate programming at 14 high schools and 24 middle schools during the 2017-18 academic year. A total of 825 students (576 in Minneapolis, 249 in Saint Paul) participated across our middle school, high school, Spanish, Somali, and summer camp programs. MNUDL staff also trained and provided ongoing support for 35 high school coaches, 29 middle school coaches, 15 Spanish language coaches, and 5 Somali coaches. To learn more, please visit the Minnesota Urban Debate League website. Participating students and judges: Mayor Chris Coleman, Christopher Oquist (Roosevelt High School), Angela Arikyu (Como Park Sr.), Ash Farah (South High School), Dwight Smith (Washington Technology Magnet), Barb Schmitt (Microsoft), and Donald Lewis (Nilan Johnson Lewis). 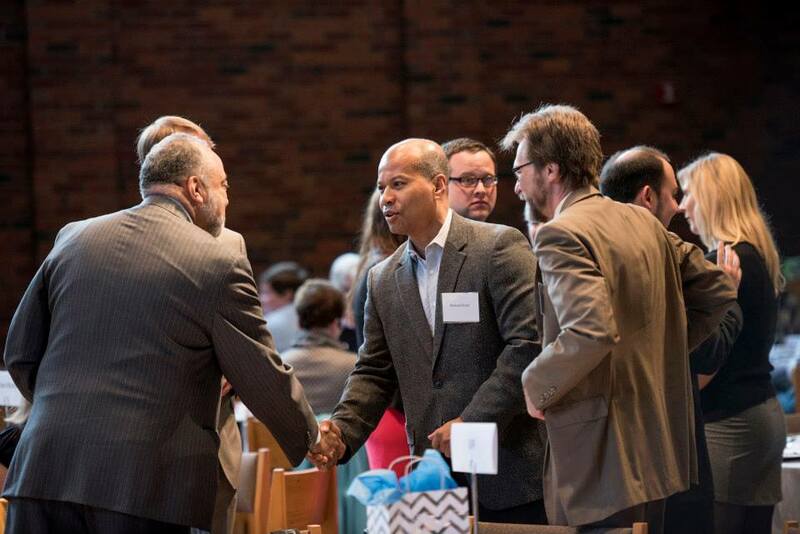 Minneapolis Public Schools Superintendent Michael Goar and District Counsel Steve Liss meet Don Lewis of Nilan Johnson Lewis. Dean Eyler of Gray Plant Mooty, Chairman of MNUDL’s Advisory Board, gave the introduction at the event. 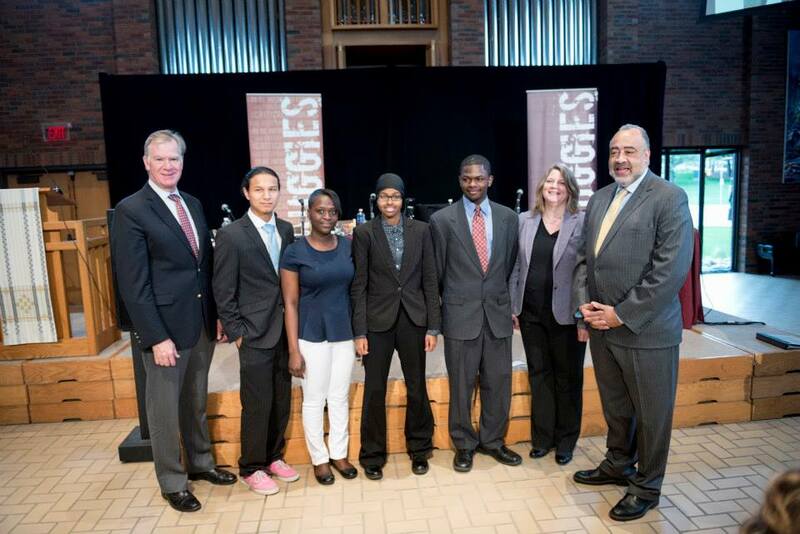 On Wednesday May 13th, Minnesota Urban Debate League (MNUDL) held its third annual Mayor’s Debate Challenge. This year, Christopher Oquist (Roosevelt High School) and Ash Farah (South High School) represented Minneapolis Public Schools and debated against Angela Arikyu (Como Park Sr. High) and Dwight Smith (Washington Technology Magnet) who represented Saint Paul Public Schools. These bright students were an inspiration to the 150 people who attended the annual event. As active citizens who advocate for themselves and their communities, we are confident these young people will lead us well into the future. Changemaker Sponsors: UnitedHealth Group, Gustafson Glueck PLLC, Nicols Kaster, Dorsey & Whitney LLP, and Microsoft. Table Sponsors: Kristin Cronin-Cole, George Dow, Jerry & Sandy Eyler, Sarah Fossen, Fasail Hadi & Veena Iyer, Nick Khatri & Family, Aaron Klemz, Meg Luger-Nikolai & Pete Nikolai, Ashwin Madia, Joseph Musilek, Mark Raderstorf, Heather Riddle, Linnea Solom, Alex Thiele, Deluxe Corporation, Lockridge Grindal Nauen PLLP, Fagre Baker Daniels LLP, Gray Plant Mooty, Greene Espel PLLP, Merchant & Gould, Nilan Johnson Lewis PA, University of Minnesota Communications Dept., and Zimmerman Reed Attorneys. We’d also like to the thank the following corporations and foundations for supporting MNUDL’s operations and programs: Carolyn Foundation, The Donaldson Foundation, Social Venture Partners Minnesota, Dorsey & Whitney Foundation, Arthur N. Rupe Foundation, H.B. Fuller Company, Women’s Foundation of Minnesota, Carl and Eloise Pohlad Family Foundation, and The Saint Paul Foundation.